Have you noticed signs of water damage in your basement? Whether you're buying or selling a home or just want to fix the home you love, Basement Systems has the solution. We solve all kinds of wet basement problems, like leaks, humidity and musty smells to give you a basement that's dry and healthy. 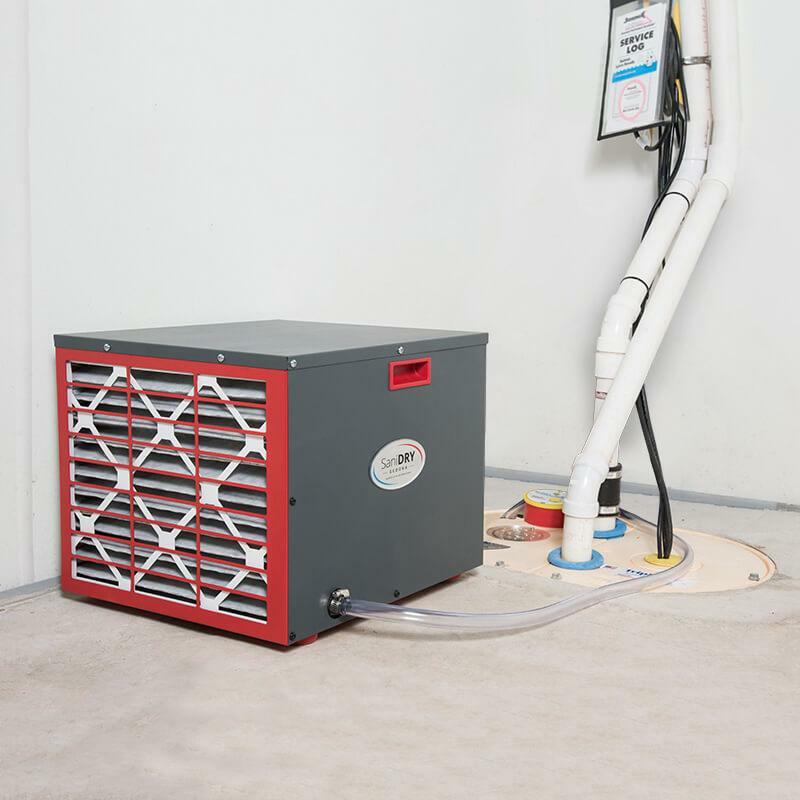 If you've experienced leaking walls or seepage through the floors or cracks in your home's foundation, you need a system that's going to keep your basement dry, all the time. The ultimate dry basement system: WaterGuard drainage system, TripleSafe sump pump and SaniDry Sedona dehumiifier. The WaterGuard® perimeter drainage system is a non-clogging alternative to a traditional French drain system, which sits in the soil and often clogs. WaterGuard® perimeter works together with the TripleSafe™ sump pump to quickly and effectively remove water that has made its way inside your home. The result is a basement that's clean and dry, so you can use the space for storage, recreational purposes or to finish for additional living space. To keep your home dry all the time, we recommend adding an ENERGY STAR rated, high-performance SaniDry™ dehumidifier and air filtration system. Our SaniDry Sedona™ and XP systems lower the humidity in your basement to reduce allergens and mold and eliminate dampness and musty odors. As a leader in basement water control technology, we've developed drainage systems, sump pumps and a full lineup of other basement repair products that have been installed in homes all across the United States and Canada by local waterproofers. Our contractors evaluate your home inside and out before recommending a basement solution. You'll get a system that's designed specifically for your home and that meets your needs. Contact your local Basement Systems dealer today to request your no-obligation basement waterproofing consultation and estimate. How do I prevent my basement from getting wet after a storm? How can I make a damp basement dry? How do I fix aleaky basement foundation? How do I get rid of mold and musty odors in my basement? How can I warm up a cold basement? How much will basement waterproofing cost?